Without booze, the best he could do was catalyse that anxiety into aggression. The more anxious he was, the more aggressive he became, and the better at this kind of job he turned out to be. He made his way along the wall towards the back of the room. His hands continued to shake, so he put them behind his back and leaned against them. “What happened?” He turned; it was the girl from earlier, Sarah. “Are you alright?” she asked. It occurred to Pat, when she asked, that he could feel an aching along the back of his hand where his thumb slotted into the network of bones at his wrist. 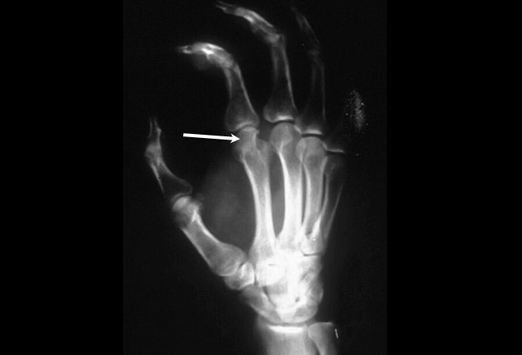 He had broken bones in his hands before and seen x-rays of both right and left. A fist, particularly a large, meaty one, looks outwardly like a brick. But an x-ray shows how the entire structure is strung together along a delicate structure of wires. They all converge at the wrist, which is a nexus of small, fragile bones. He had once snapped his scaphoid and been lucky to avoid surgery. “Yeah, I am,” he said. His nerves jangled as the distress continued to resonate. “How are you?” He half-heard his response and marvelled at the mouth’s ability to make a fool of a person if not directly operated by its owner. “Really, are you alright?” she asked, and her eyes saucered with what Pat might have read as genuine concern, if he hadn’t been quite so addled. The light was more constant in this part of the room. He could see the acne scars on her cheeks, just under the foundation she had caked on. Noticing it made him feel ashamed. “I should be. Soon.” A truthful answer. Mysteriously, it made him feel better. “You poor thing,” she said, putting a hand on his forearm. Even through the overcoat, he felt it sparking against his skin. “I’ll be alright in a minute,” he said, trying to contain the stress and anxiety which swelled under the pressure of her touch. He took his hands out from behind his back and stepped away from the wall, turning to face her. “Why not?” The conversation was opening him gradually and he could feel her stare penetrating him, not unlike the way an insect will slide its proboscis into the bell of a flower. “Oh. Oh,” she said, the hand holding the glass falling down to her hip. “Don’t be offended,” he said. “You don’t. Really. I’m a bit mental.” He moved his thumb; the pain was increasing. “Really?” she asked. He felt her moving away as the temperature between them fell a couple of degrees. She continued to look at him, lifting her glass and stopping, straw poised a couple of inches from her mouth. She wore a look like she might even start laughing. What he was saying, while he believed it to be the best thing, actually made him feel worse. It felt as if his heart were folding up. Imploding. This entry was posted on November 4, 2015 at 7:31 pm and is filed under Theme Parks and Obstacle Courses. You can follow any responses to this entry through the RSS 2.0 feed. You can leave a response, or trackback from your own site.